Happy Holidays! 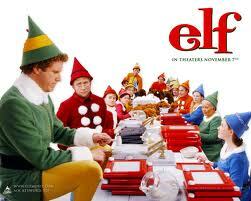 Join me in examining what a seasonal favorite has to say about adoption!Let's head to the North Pole and visit Elf. A baby was accidentally abducted from an orphanage, and as far as we know, no one there seemed to notice. Fortunately, the bag he crawled into belonged to Santa Claus. Instead of returning the baby to the orphanage, Santa gives him to “Papa Elf.” The baby is given the name “Buddy” because of the brand of diaper he was wearing when he was found. As an adult, Buddy overhears that he is not an elf. Papa Elf tells him about his birth history. Buddy sets off to New York City to find his unsuspecting birth father, Walter. His welcome is not a warm one. Buddy is (more or less) adopted. He was raised at the North Pole by Papa Elf, but feels as though he does not fit in. He learns of his adoption, and then sets off to New York City with fantastic dreams of how he will spend his days with Walter. However, Walter denies him, dislikes him and sends him away. Ultimately, though, Buddy reconciles with Walter, marries a human woman, and still visits with Papa Elf from time to time. Walter has married a very nice woman, who encourages him to include Buddy in the family. In many movies, an outcast-character (like Buddy) is only accepted when he proves his worth. Buddy was unconditionally accepted by his Walter’s wife, and eventually by Walter as well. 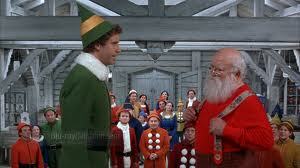 Santa affirms that Buddy is very much an elf. Elf is delivered in a light-hearted tone, but some words passed between Buddy and Walter are heart-wrenching nonetheless. Buddy says, “I just wanted to meet you and thought you might want to meet me.” Walter later says, “I don’t care that you’re an elf, I don’t care that you’re my son. Get out of my life, now!” Although Walter later apologizes, the line has the potential to be very painful to some viewers. Buddy’s response is drastic – he writes a note apologizing for ruining their lives, and finishes it, “I don’t belong here; I don’t belong anywhere,” and heads for a bridge. Before it’s obvious what might be about to happen, Santa appears on the scene. Buddy says that he was adopted, but he was really accidentally taken from an orphanage, and then not returned. His name was given to him by way of a misunderstanding. I’m not quite sure how Papa Elf knew so much of his birth history. When Buddy sets off to New York City a character suggests that it is a prime opportunity for Buddy to “find out who you are.” But really, Buddy’s identity is determined to a great extent by the life he’s lived at the North Pole. Buddy’s first meeting with his Walter with Walter calling security and having Buddy escorted from the building. 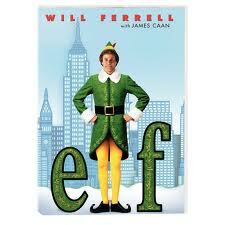 Is Buddy an Elf, a Human, both, or something else? Why? Walter apologized for what he said to Buddy. Was the apology enough to clear Walter of wrongdoing? Was it enough to heal Buddy’s hurt feelings? Is it possible that there are sometimes different answers to those questions? What should Walter do if Buddy’s feelings are still hurt? If you could spend a whole day – just as a family – what would you do? Buddy really wanted to spend time with Walter. Why not carve out a whole day of creative time together for you and your children. Work together to schedule the day, then do it! Do something season, something quiet, something creative. Enjoy each other. Want to know when more movie reviews are posted? Like Adoption At The Movies on Facebook and Follow Us on Twitter.